Cho Ray Hospital in Ho Chi Minh City yesterday said that it has performed a successful cross-kidney transplantation from live donors. 31 year old Le Thi Anh Hong from the Mekong delta province of Kien Giang and 32 year old Vu Thi Hue from the central highlands province of Dak Nong were both suffering kidney failure at the last stage. Hue’s mother registered to give her kidney for the daughter while Hong’s stepfather is the donor. However, through tests from the two pairs of recipients and donors, it showed that recipients and donors cannot receive kidney from their relative due to high antibodies in the recipient despite blood group compliance. 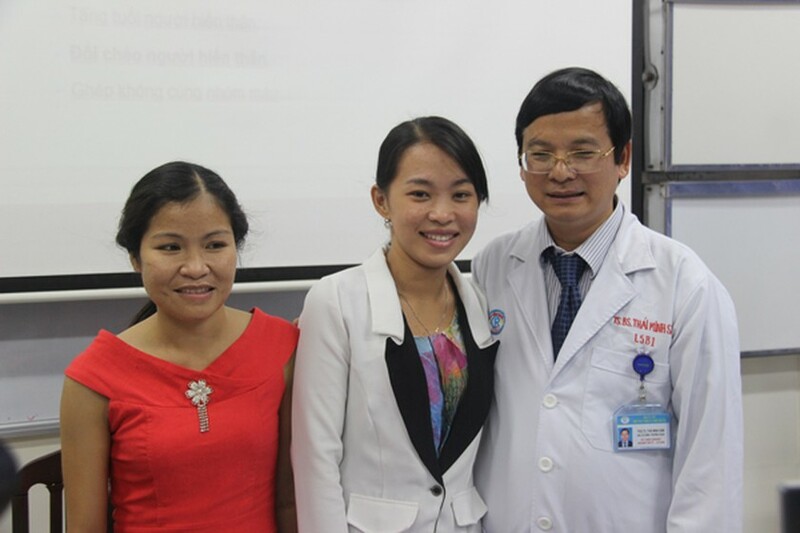 Fortunately, through re-check, medical workers discovered the compatibility of the donor of the first pair and the recipient of the second pair and the donor of the second pair with the first recipient, said Professor Thai Minh Sam, head of the hospital’s UTI ward. Yet, medical workers were hesitant as it would take half a year to perform the transplanation therefore they seek advices from the leading experts in the world who said that proper kidneys are ideal for a cross –kidney transplantation, said Professor Sam. Cross-kidney transplantations were performed with the acceptance of the patient and donor of two couples. In cross transplantation, two couples exchange kidneys with a previously planned simultaneously performed operation and they wake up from a healthy kidney transplantation operation. The first successful cross-kidney transplantation provides a big opportunity to ensure undergoing transplantation of the couples with improper cross examination at the same time as well as marks a progress in organ transplantation of Vietnam.